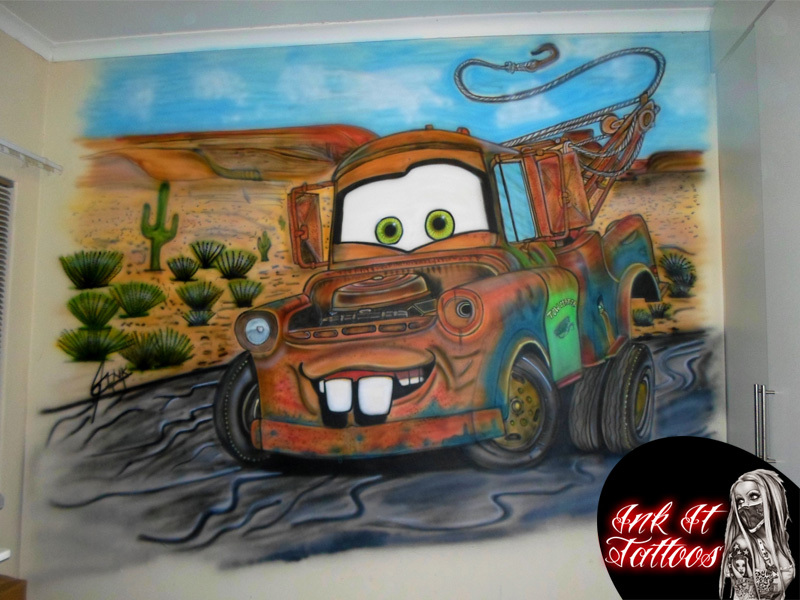 In 2012 Jacques tackled an airbrushing project that to this day is one for the book – a Mater Mural. The project started on 22 February and was completed on 27 February, but the sweat and tears was worth the final product. Below are a few photos of the process.